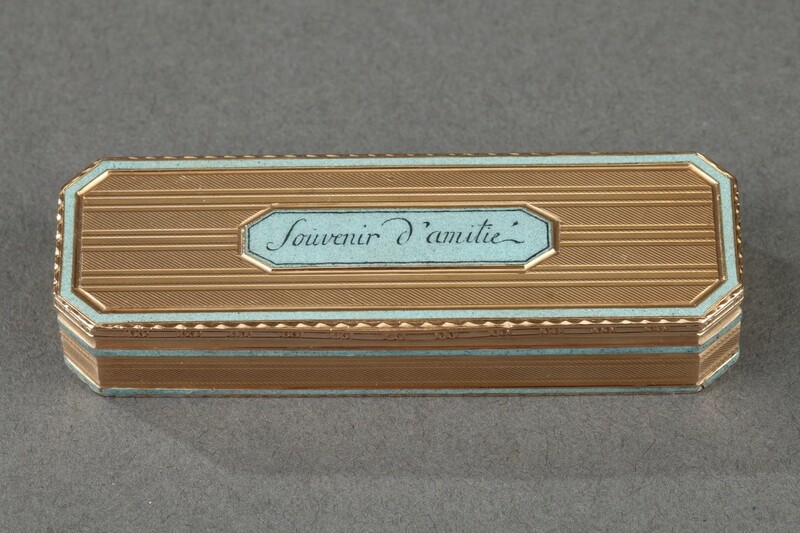 Flat, rectangular gold box with angled corners. 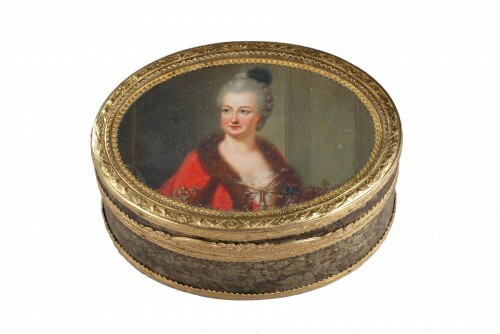 The hinged lid, sides, and bottom are embellished with thin parallel stripes alternating with matte gold bands. 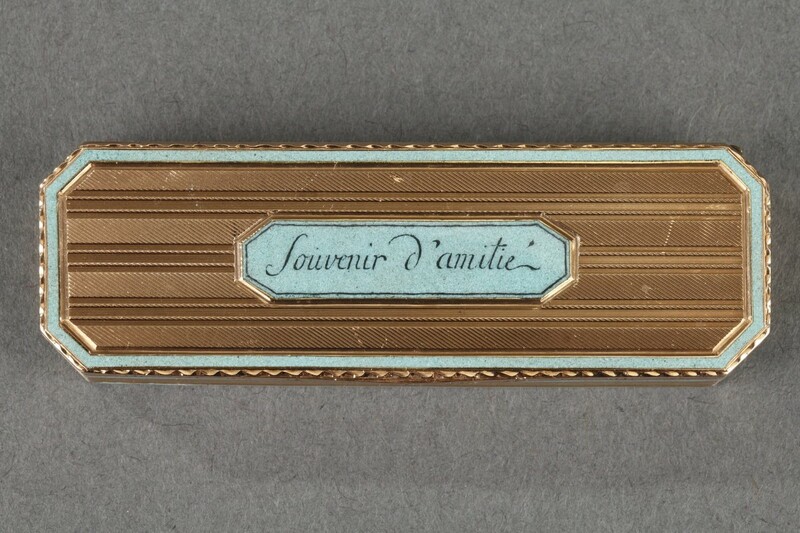 A narrow stripe of sky blue enamel frames the composition. 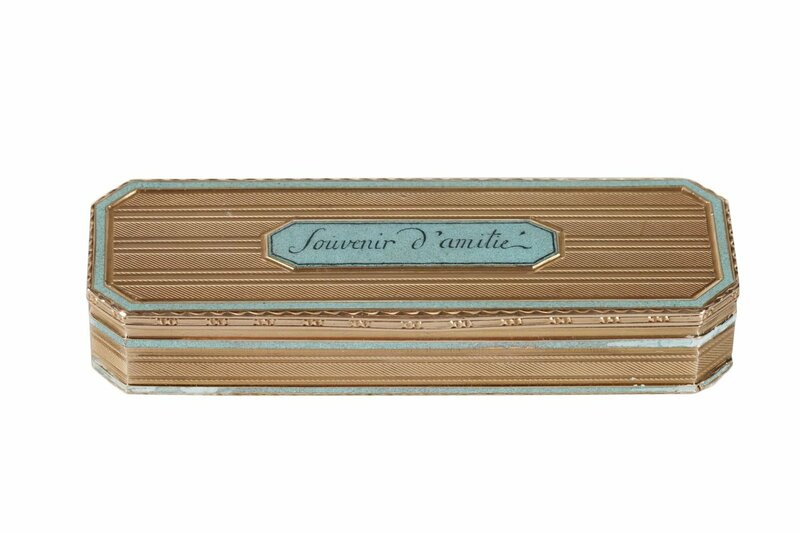 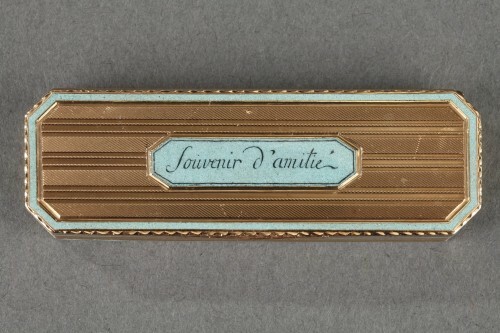 A sky blue panel in the center of the cover reads, “Souvenir d’amitié” (Souvenir of friendship). 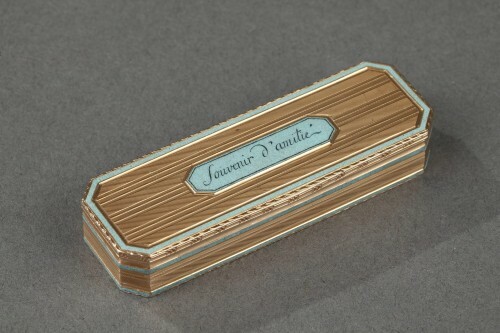 The case contains two compartments: the top, which opens with a hinge, and the bottom, which slides to open. 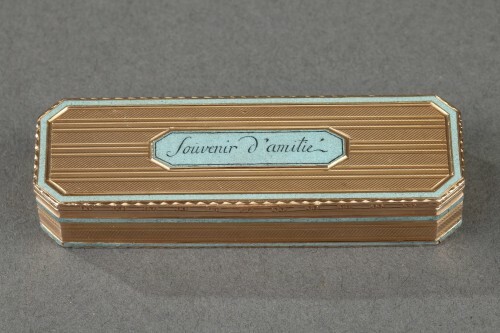 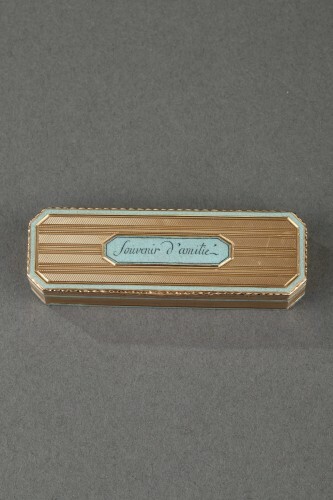 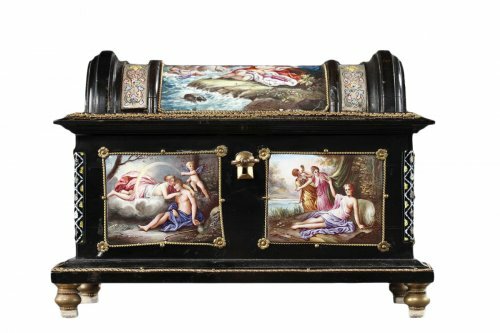 This style of box was most likely used to hold toiletry items. 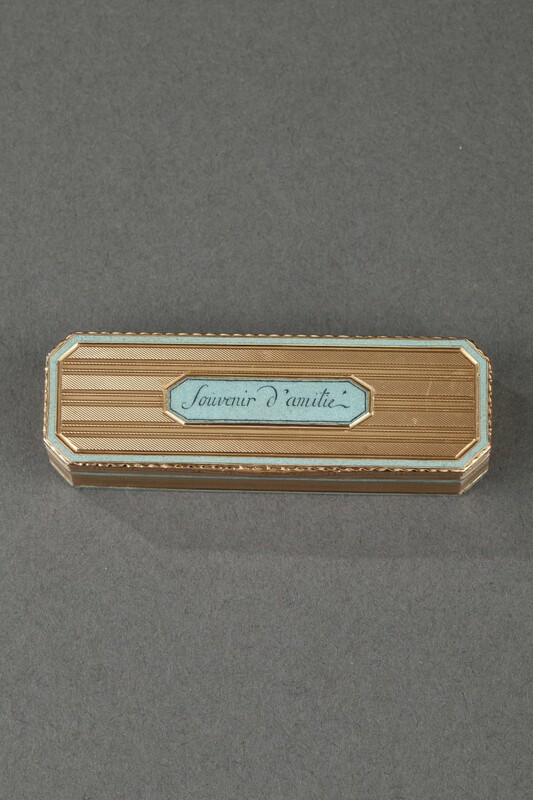 It may have contained a tongue scraper, a pick, a small brush, or any other small toiletry or hygiene item in use during the 18th and early 19th centuries. 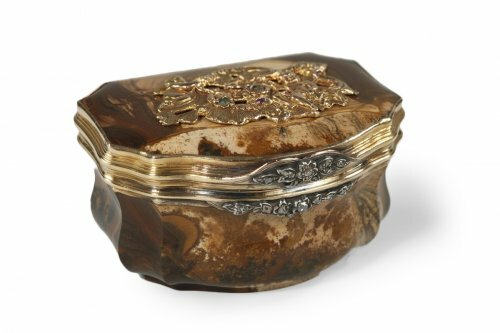 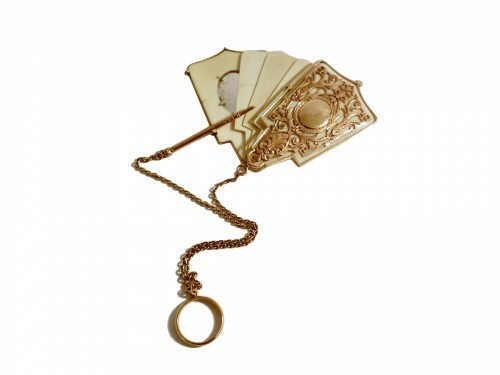 The Souvenir d’amitié inscription underscores the sentimental value of this type of object.